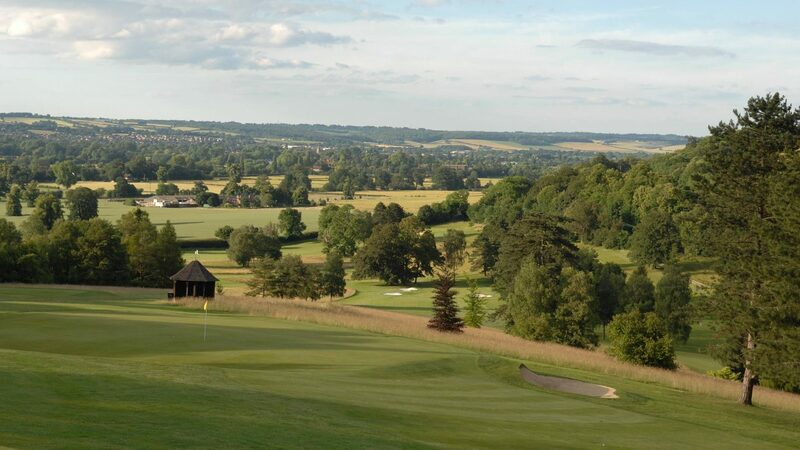 Conveniently located in the heart of the Thames Valley and less than five minutes from the M4 and M40 motorways, Temple Golf Club is beautifully situated in unspoilt landscape with spectacular panoramic views of the course, River Thames and the Chiltern Hills beyond. The view from the 1st tee is simply breath-taking. Temple offers year-round golf on a high-quality course designed by two-time Open Champion Willie Park Jr. in 1909. Temple is both challenging and interesting; difficult enough to test the low handicap player but friendly enough to encourage those with higher handicaps. Whatever the season, our excellently maintained golf course always has something very special to offer: Spring offers its many shades of green, Summer sees a myriad of colour provided by wild flowers including several rare species of wild orchids. Autumn is beautiful with the varying russet shades of the countless specimen trees on the course creating a simply stunning backdrop and, because it is built on chalk, Temple is an excellent winter golfing venue. The original clubhouse is still in use today. It is relaxed and welcoming with an excellent bar, great dining facilities and food and friendly staff. It’s handy location, beautiful setting, renowned hospitality, excellent value for money and friendly service make Temple the ideal society venue. 18 and 36-hole packages available with breakfast, lunch and evening dining options Summer season 1 Apr – 31 Oct Packages from £50pp. Winter season 1 Nov – 31 Mar Packages start from £35pp. Located just off the A404 about halfway between J8/9 of the M4 and J4 of the M40. From the A404 take the exit for the A4130 signposted Henley/Hurley and cross the Burchetts Green roundabout still following the signs for Henley/Hurley. Pass the Hurley House Hotel on your left and Temple is about half a mile up the road on the right. Maidenhead train station is 10 mins away by road. There are good hotels in nearby Hurley, Henley and Marlow. Pro Shop, large putting green and practice nets. A fully stocked bar, large function room with fantastic views over the course, outside terrace and free WIFI.